My only gripe with those mounts are that they are too long for the S2 body type unless you have a GT3 kit in place. At this point I am leaning toward building something similar to the 3Eleven type mirrors with default mount positions. A plug n play solution. 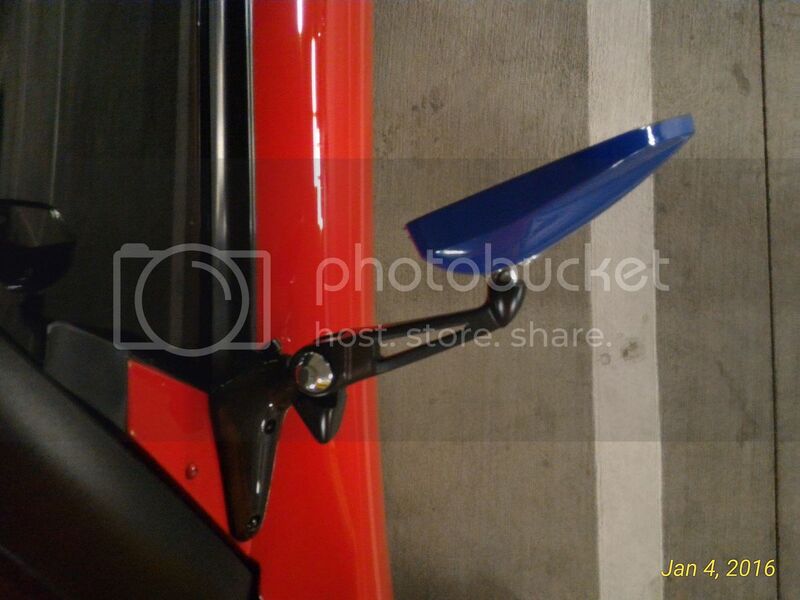 Would there be any interest in a mounting plate for those already using motorbike mirrors? I am subscribing to this topic just to see where it goes. I currently have the regular Elise wing mirrors on V6 plinths. Looks fantastic however just like the original style it generates quite a bit of wind noise above 120/130 kph. Would be interested to see if a more quiet design (I like the look of the McLaren ones) is possible or I will have to learn to live with it (it's not too bad....). 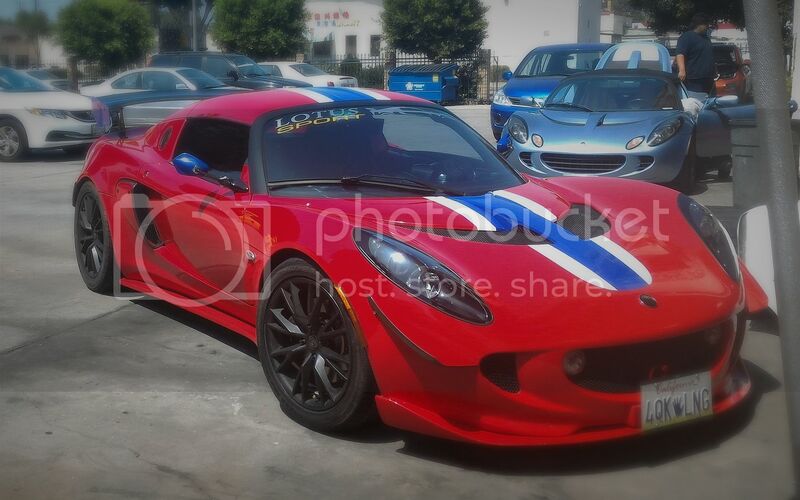 Although I love Pagani (I visited and toured the factory when they were still producing Zonda S's and had only delivered approx 30-40 cars total) I do think it's a bit to fancy/swoopy for a Lotus. I know tastes differ so only my opinion. 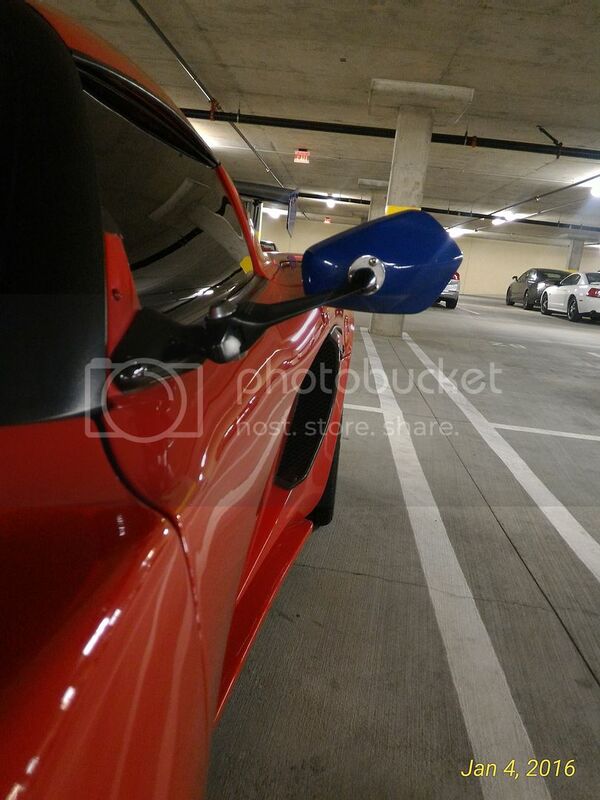 But the lightness aspect of that mirror is definitely keeping in the Lotus spirit. Given no legal constraints, I'd eliminate the mirrors alogether. I'd install micro cameras with slightly fisheye lenses into the current mirror base mount location and put small monitors inside on the A-pillar and on both sides of the main center rearview mirror. 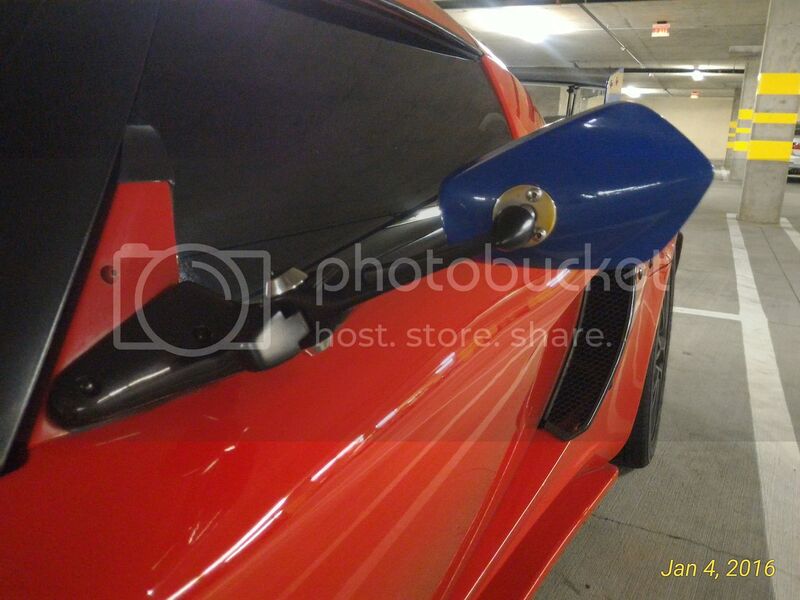 My vote is still for the BOE mirrors...where I am not a fan of the APR racing carbon mirror they use, the base is amazingly well made...and if you could purchase just the base and then install your own mirror...totally worth it!!! However I see Phil is not offering them anymore. That's actually the direction I'm headed. I've seen the Marque mirrors and although I'm sure the mount is well built I'm personally not a fan of the stem style mount. I'm going to fabricate something a little different that suits the style of the Elige but most likely using a mirror by APR. I've actually really loved the Craftsquare CF mirrors that Sector111 used to sell. It's nigh impossible to get them now without paying huge sums of money, tho. BOE's Marque mirrors come close, tho, should you appreciate the Craftsquare look. I know this is slightly off subject, but I too have toyed with the idea of using cameras in lieu of mirrors like the BMW 3.0 CSL, and a display where the useless Exige interior rear view mirror used to reside. This is my unconventional mirror solution. 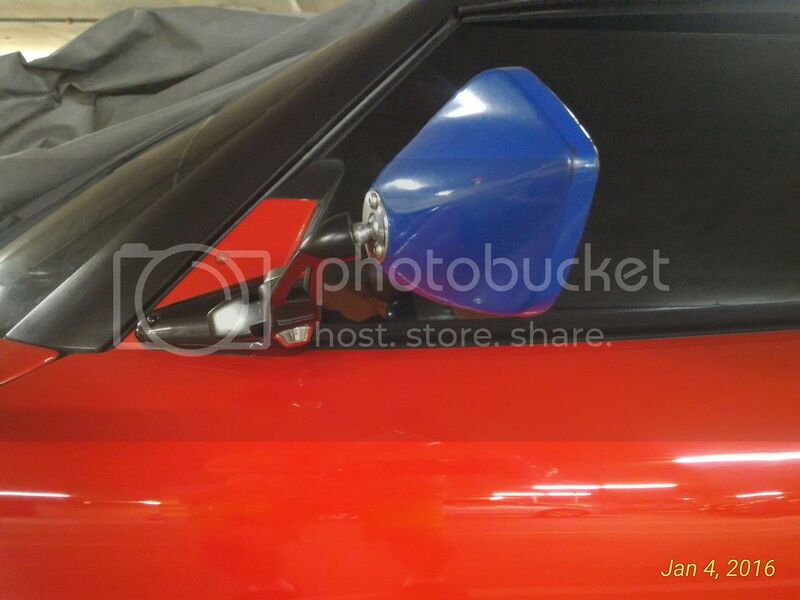 I previously replaced the oem mirrors with the craft square CF mirrors. However, I wanted viewing angle and something different. So 1-2 years ago, I bought a pair of convex Napolean motorcyle mirrors directly from a japanese motorcycle accessories website. I removed the craft square mirrors and stems but left the bases in tact. I then installed the motorcycle mirrors onto the craft square bases. It's not for everybody - busy, mechanical and very transformerish looking. However, I like the functionality and uniqueness. It's sure funky looking but reduced the wind noise with wider viewing angle. It's vinyl wrapped in blue to match the end plates of the rear spoiler. Just my unique take on things! Very nice solution; I've seen the racy shapes available for motorcycles, but thought the viewing area to be relatively compact. At the end of the day it's really about wha looks good to the personal eye. I'll keep this thread going and post up my CAD designs and final product in the coming weeks. avonnieda, vavoo and 275 Turbo like this. 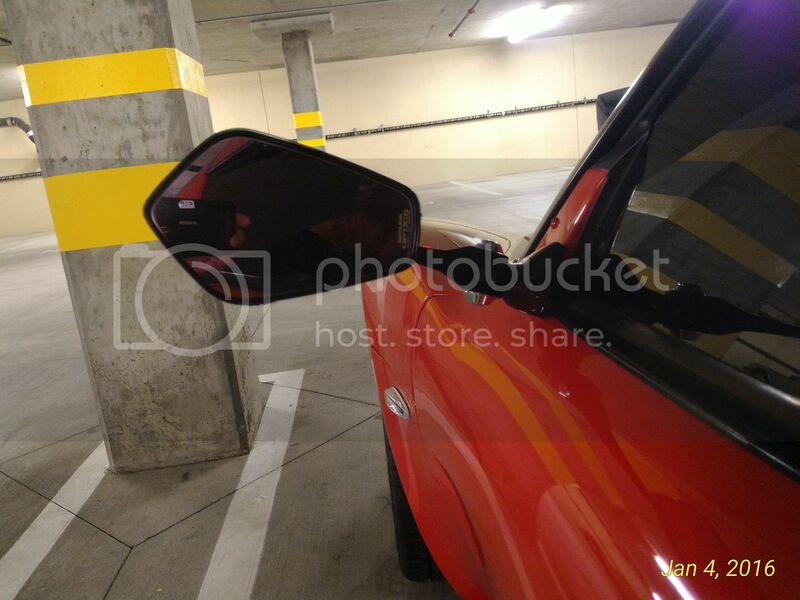 I have a set of BOE marque mirrors if anyone is interested. Offers. 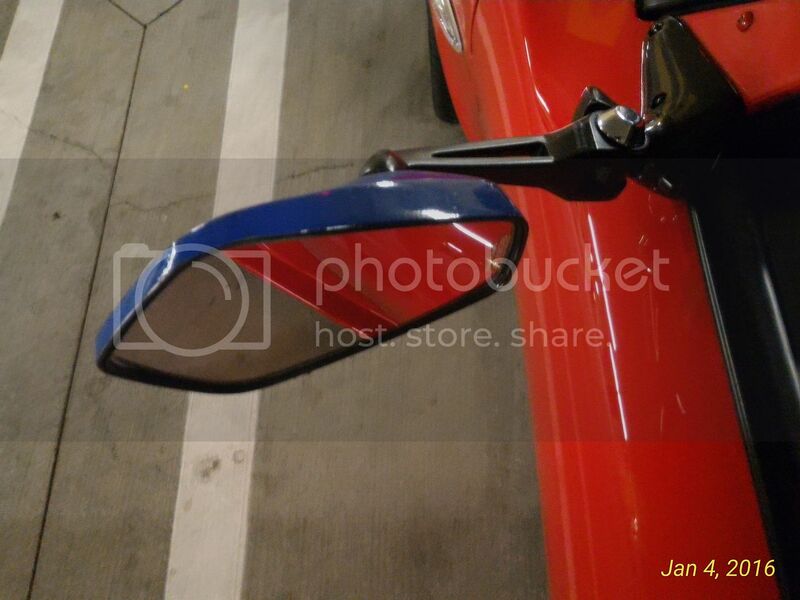 I always wondered why no one converted motorcycle mirrors. Most of them are large but aerodynamic. Plus I am sure there is a nice design that would match the Elige looks. It seems like that's what Pagani did. I feel like all the solutions but stock look like a compromise. They don't cover the stock bolt holes, they have exposed bolts and such. It would be nice to have a custom looking design that fits the aesthetic of our cars. That would be a good subject for a poll. I think rounder mirrors like the magical mirrors are more suited to these cars for aesthetics, than the more square ones. But I can understand how it's more about function than form for a lot of people, and you can likely see more from the square ones. I like the rounder mirrors.